Through the avenue, it is possible to find the shops of almost all popular brands such as Zara, Louis Vuitton, Tommy Hilfiger, or Barbour. In the part between Erenköy-Suadiye, there are dozens of famous cloth, jewelry and cosmetics shops one after another. Although the number of the “haute couture” boutiques here is not as much as the ones in Nişantaşı, except for a couple of examples near Erenköy. Hundred thousands of people are still attracted to this place for its multistorey stores such as Boyner and YKM and for dozens of small shops selling various products imported from outside the country. If you have a look at the shops on the back streets, you can have infinite shopping choices appropriate for almost all budgets on Baghdad Avenue. The fashion trends are closely followed up in Baghdad Avenue and you can come across highly elegant people on this avenue. In Baghdad Avenue, where the people who love shopping never want to leave because of its luxurious stores, decent cafes and pleasant atmosphere, you can also find the big branches of the famous hairdressers and beauty centers such as Tony&Guy, Erdem Kıramer and Ebil. 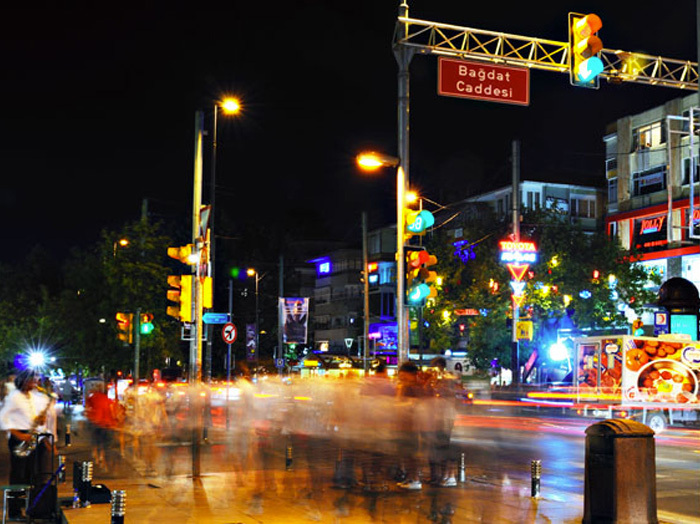 Moreover, you can take break in one of the dozens of classy cafes or restaurants such as Starbucks, Divan, Kırıntı along the avenue after shopping for hours.